A promotional snack tray that's great for picnics and events. Ideal for serving snacks at parties, events and picnics! These re-usable plastic snack trays are a great promotional item to make your event more memorable. 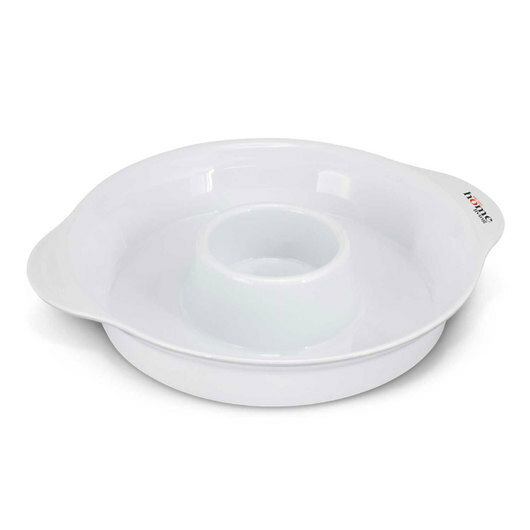 It has a unique design with a centre bowl for sauce, salsa and other condiments. These trays are stack-able, 100% BPA free and dishwasher safe.